Deutsche Gesellschaft für Orale Implantologie (DGOI) is a German organization of oral implantologists. 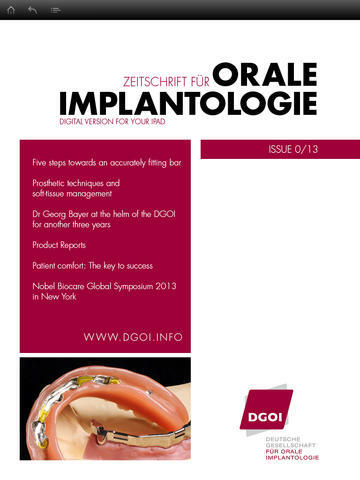 DGOI is strongly associated with other organizations as: the International Congress of Oral Implantologists (ICOI), the Polish Association of Implantology (PSI), and collaborates with many other organizations. The interaction involves an exchange of experiences, organizing conjoint lectures, conferences and symposiums. Like other organizations, DGOI lays emphasis on the education of implantologists. The most important issue for the organization is to introduce the theory in practice, in order to improve the quality of implant dentistry services. The staff of our Clinic belongs DGOI organization as well.